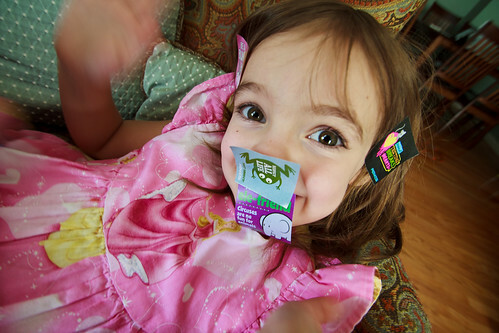 Molly vs. the Stickers – 365, 188, originally uploaded by Fluttering By. Molly picked up some stickers from a vegan diner we went to in Salt Lake City, UT last month. They are put out by PETA have cute sayings on them.